Giant mealworms are the same as regular mealworms. 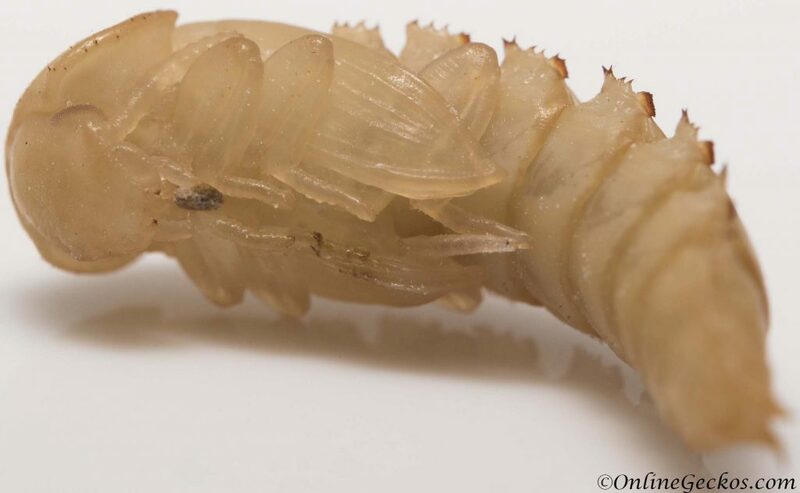 They are the larval form of mealworm beetles (Tenebrio molitor). Do not confuse giant mealworms with superworms. Superworms are the larval form of a different type of beetles, called Zophobas morio. While similar in size and looks, superworms must never be refrigerated. Giant Mealworms – How are they created? 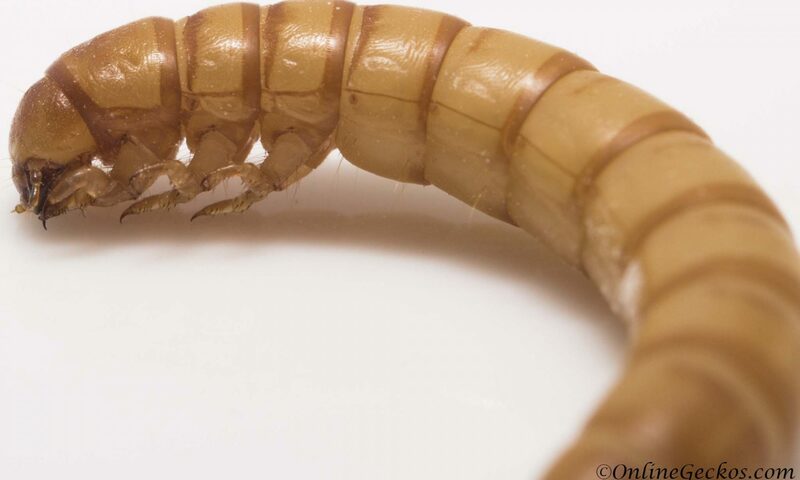 Giant mealworms are created by treating mealworms with a juvenile hormone analog, S-Methoprene. S-Methoprene is an insect growth regulator (IGR). 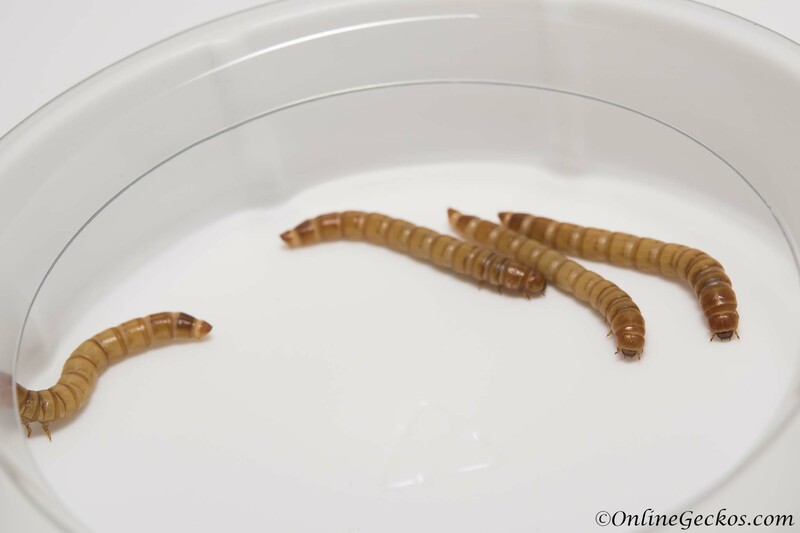 It prevents larvae from molting into pupa, therefore mealworms continue to feed in larval forms. This is how they are able to get their size. It’s important to remember you can not create giant mealworms without utilizing a juvenile hormone analog and insect growth regulator. One simply can not create giant mealworms “naturally”. Insect growth regulators such as Methoprene and Pyriproxyfen are also used as insecticides for pest control. In order to obtain the chemical, you have to be licensed as a pest control operator. Giant Mealworms – How is the treatment applied? See below for a video by Ken Chiarella from Worm Man’s Worm Farm. He explains in detail how they make giant mealworms. This product contains 2.5 lb/gallon (300 grams/liter) (S)-methoprene active ingredient. 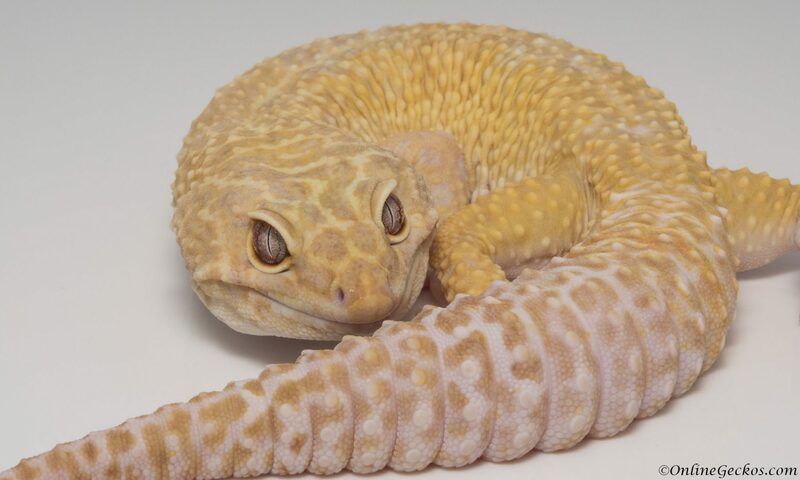 Should you feed your geckos giant mealworms? We hope with this article you are able to answer this question yourself. Our goal here is to educate. No matter if the subject matter is taboo, there should always be an open dialogue. For us, we do not use giant mealworms because we don’t consider the process natural. Whether giant mealworms are harmful or not, we do not know. There are many great insect feeders to choose from as we covered in our feeder nutrition guide. While we don’t see a need to utilize giant mealworms, others may feel differently. At least now you have the knowledge to make informed decisions for yourself and your geckos.